The College's new Quality Enhancement Plan is Sustainability Literacy as a Bridge to Addressing 21st-Century Problems. This is an initiative to endow students with the tools and knowledge they'll need to address 21st-century problems such as climate change, social injustice and economic inequality. At the College, we acknowledge that our world faces steep challenges, and that these are global in magnitude and complexity. Whether it's diminishing resources, human-induced climate change, economic inequality, or some other pressing concern, our society has arrived at this point precisely because of the way we think and how we behave. If we wish to change both our thinking and our actions, we will first need to change the education we deliver. That is the central notion underpinning the College’s Quality Enhancement Plan (QEP) – Sustainability Literacy as a Bridge to Addressing 21st-Century Problems. Within this initiative, it is the responsibility of our campus community to provide our students the sustainability literacy they will need to be effective problem solvers for the 21st century. 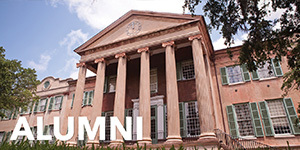 SLI envisions positive social, economic and environmental change from a sustainability literate College of Charleston community. 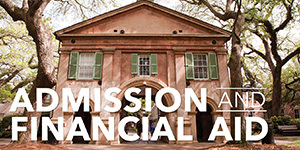 The SLI supports teaching, learning and research in sustainability literacy at the College of Charleston and the communities with which it interacts. Education - The Institute supports established pedagogical practices that teach sustainability literacy, and facilitates teaching faculty such practices. Engagement - The Institute actively fosters interdisciplinary collaboration about sustainability literacy amongst faculty, and between faculty and staff, faculty and students, and the larger community. Expression - The Institute advocates for and supports the expression of sustainability literacy at individual, campus, local, regional, national, and international levels. Each year the CofC community engages in a shared discussion around a “CofC Sustains/Solves” sustainability literacy theme. This theme helps unify our collective advocacy for resiliency and entry into interdisciplinary creative problem solving at the interface of social, economic, and environmental systems. Over the course of their CofC career, students will be exposed to multiple sustainability “big ideas,” with our campus joining in national and international discussions around sustainability. Each annual sustainability literacy theme will be studied in sustainability focused and related courses and learning communities, during faculty/student research, explored during the SLI Changemaker Challenge, and addressed by other curricular and co-curricular events and programming. Focusing on an annual sustainability big idea helps build awareness about sustainability literacy; helps students identify policies and practices that have led to unsustainable behaviors related to this theme; and presents an opportunity for a shared discussion about how to design solutions to such behaviors. 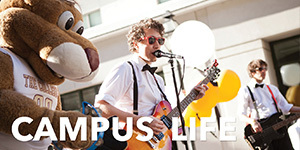 CofC students will then be able to bring these insights into future careers, helping advocate for solving interconnected 21st century problems. 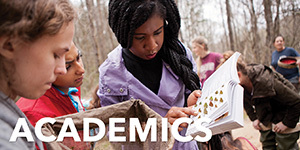 Overall it is hoped that students recognize that the themes are all interconnected, and all impact and are impacted by social, economic, and environmental systems. 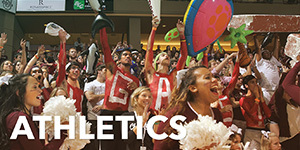 CofC Sustains/Solves theme for subsequent years will be decided by a campus vote. To learn more about the SLI and this year's theme of Social Justice and Fair Distribution, go to Who We Are. Every 10 years, the Southern Association of Colleges and Schools Commission on Colleges (SACSCOC) requires that member institutions be reaffirmed as accredited institutions. In preparing for this reaffirmation process, colleges and universities are required to develop a Quality Enhancement Plan (QEP). 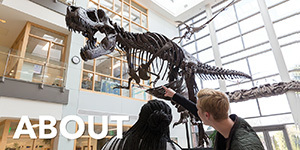 In our case, the Reaffirmation Leadership Team put out a call for proposals, and from the resulting submissions, selected sustainability literacy as the focus of the College’s QEP. The QEP has five overarching goals, each one related to specific student learning outcomes. For additional information about the reaffirmation process, see the website for the Office of Institutional Effectiveness and Strategic Planning. What Does Sustainability Actually Look Like?